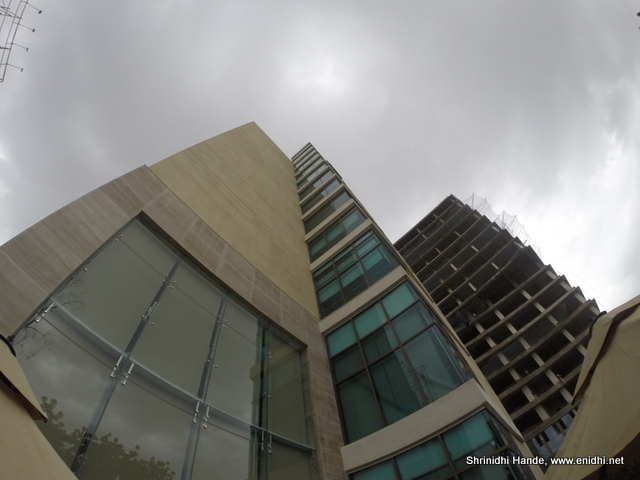 We spent a night at Novotel Ahmedabad for the Tata Nano #TheChosenOnes event. While few other bloggers who arrived early/left late could spend more time in the event, I could spent very little time at the hotel. 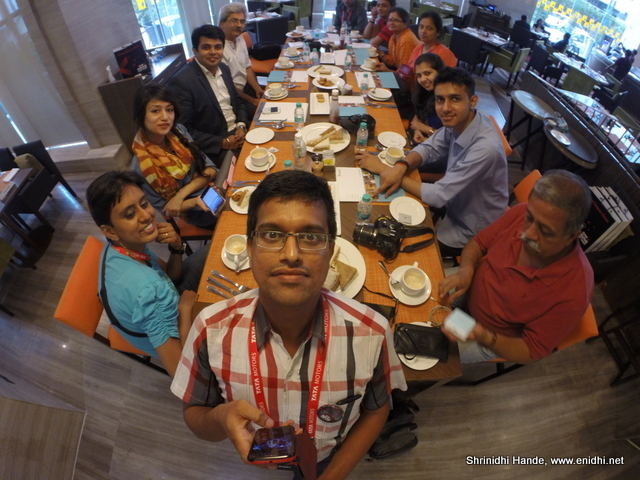 Knowing that lots of bloggers are staying, hotel management also squeezed in a quick bloggers meet as well. Below are some observations/notes about Novotel Ahmadabad. Novotel reception has a display of current room rents and prices for other services. So you don't have to ask for price, feel embraced that it is too expensive. You can look from a distance and decide your strategy!. I am told weekend rates are cheaper than week day rates. Weekday best rate was around Rs 8000. (Corporate rates could be lower). Because most of the customers are business travelers they prefer to go back on Friday night, so weekend availability is higher. There're little less than 200 rooms, most of them superior rooms and few types of suits. The cheapest of rooms are branded Superior rooms, to give false impression to guests that they are staying in luxury. (Tactic used in all hotels). Compared to Radisson Blu, room size was smaller. Radisson Blu offered a full size writing table, sofa etc, which were not to be seen in Novotel. Doors of bathroom and wardrobe have a unique lock mechanism. Radisson doesn't supply a copy of newspaper to room. Novotel does. I couldn't check out the pool at Novotel or any other facilities. Breakfast was nice- lots of vegetarian options. I am told they do profile the guests to capture their requirements and preferences. For repeat guests, staff know what and how they like their things. On the day of check out, even though we were clearly told that food and beverages will be paid for by Tata motors, we were asked to pay for dinner and coffee. I had to show guest instruction letter and staff took few minutes to run around, check and finally confirm that we needn't pay anything. Good comparison. I feel most of the times they provide you Toothpaste (and even extra toiletries) only if you ask for them. But i don't find it strange anymore, cost cutting! And the post took me back to the good time we all had there.